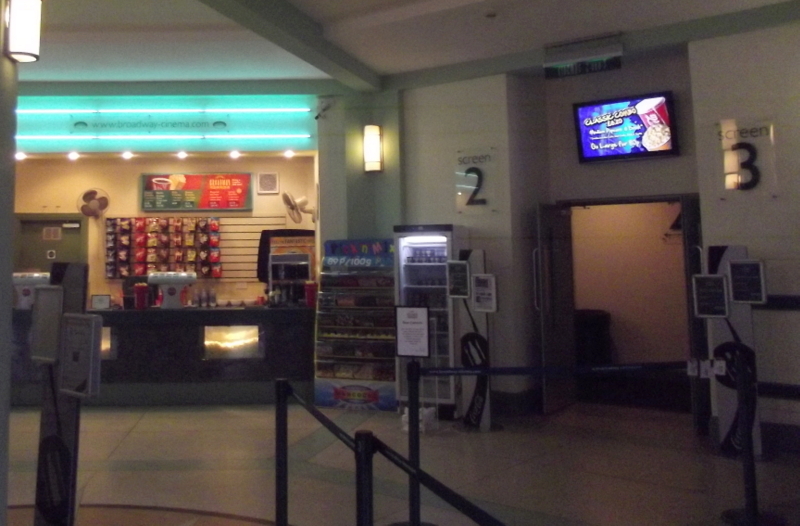 A few weeks back we’ve written an article on the benefits of digital signage in cinemas and we’re glad to be able to follow that up with a practical example. 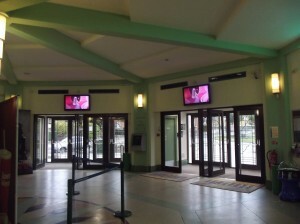 Broadway Cinema, located in the world’s first Garden City- Letchworth, United Kingdom, makes use of a digital signage solution installed by our partner Review Systems and run by digitalsignage.NET, our cloud- based digital signage software. 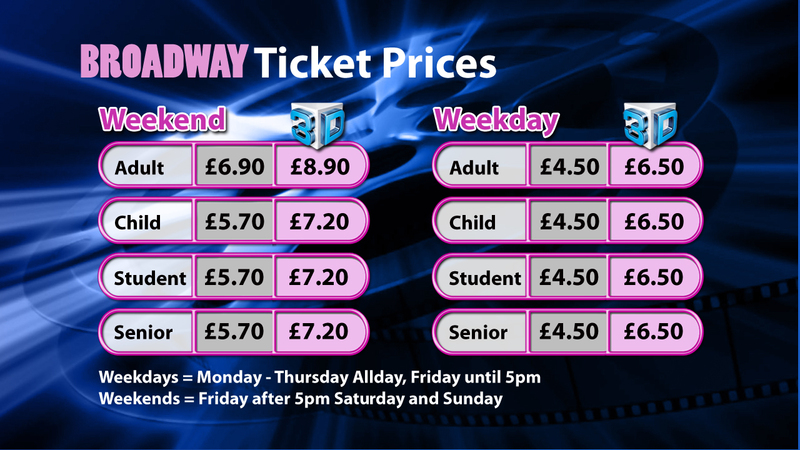 The cinema uses three displays located in its lobby to advertise ticket prices, upcoming movies and opening times intermixed with third- party adverts of local businesses, all scheduled and played in digitalsignage.NET. The content is created by Review Systems that also manages its delivery to the screens. Jonathan Brown, the company’s Managing Director commented on the install: ’’I think cinemas have a particular advantage when it comes to advertising. They attract a large number of people on a regular basis that many other local businesses want to reach (think solicitors, colleges, restaurants etc). So selling advertising space on their screens isn’t just a natural decision for them but also a much easier move to make.’’ And in this case, it’s all for a good cause. This is the second charity that benefits from the use of digital information displays run by digitalsignage.NET and we are glad to bring our contribution to their cause. The Broadway cinema is owned by the Letchworth Garden City Heritage Foundation that reinvests all the money generated through the sale of tickets and advertising space back into the community. Howard Smith, Dynamax’s founding director said: ‘‘’It’s good to see digital signage used for a noble purpose. The Letchworth Foundation is the second charity in our portfolio of users that utilises the technology to generate money for their cause. This only comes to prove the versatility of digital signage in general, and of digitalsignage.NET in particular which can support single screen deployments as well as nation- wide advertising networks like Review Systems’.’’ Blue Cross is the other charity using digitalsignage.NET for one of its businesses. Review Systems’ network consists of garden centres and motor dealerships (read out story featuring media player manufacturer IAdea), besides cinemas, with minimum one display per venue showing location- based information and advertising delivered by digitalsignage.NET. 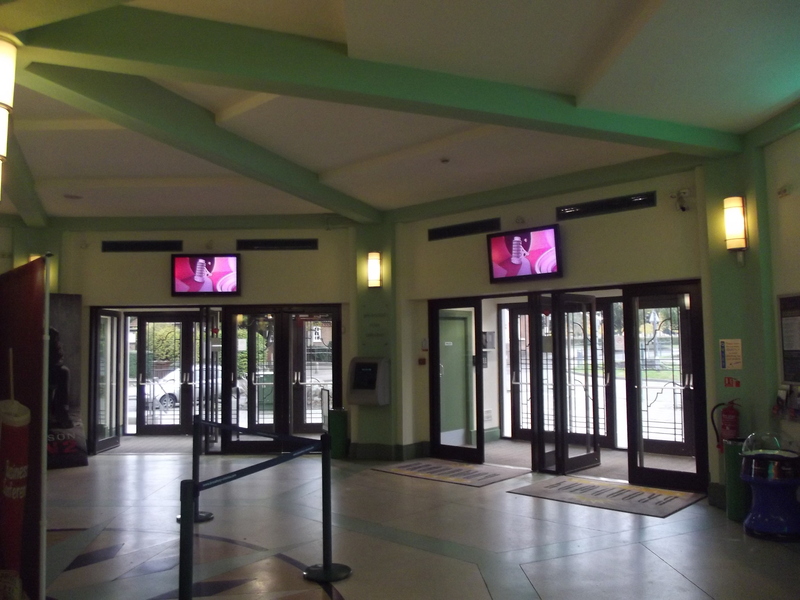 Review Systems is also managing the digital signage in the 80- year old Playhouse Cinema based in Perth, Scotland. See what it can do for you by signing up for FREE. Want to learn more about the benefits of digital signage in your particular sector? Download one of our white papers. This entry was posted in Digital Signage and tagged digital signage news, digitalsignage.NET by Dynamax. Bookmark the permalink.